Ross & Cromarty Roots | Charles Bailllie Sutherland. In front of this srone/is interred the body of/CHARLES BAILIE SUTHERLAND/of Ross-shire youngest son/of the late Captain GEORGE SACKVILLE/SUTHERLAND Rhives aged 17/who was drowned with many/other passengers by the Comet/Steam Boat from Inverness/in the dreadful catastrophe/by which that vessel sunk/off Kempock on the morning/of the 21st October 1825. 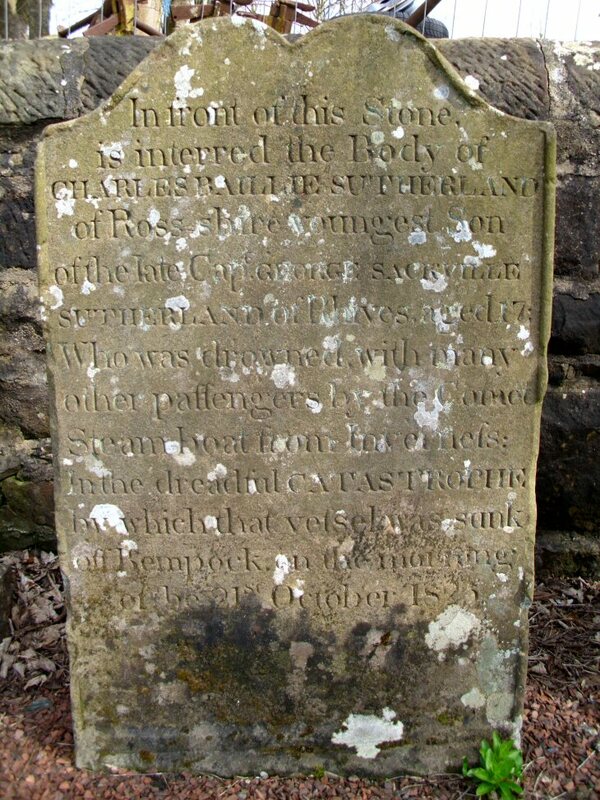 [This headstone is in Gourock. His parents are buried at Kilmuir Easter, Image No. 10207]. Picture Added on 03 November 2011.